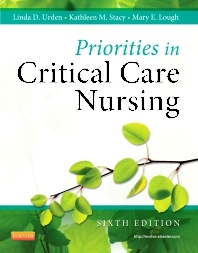 "This text covers theory, practical skills and knowledge of critical care nursing. It is written by experts in the field of critical care nursing and the content has also been reviewed by academic and clinical experts. There are nine units, which cover foundations in critical care nursing and itscommon problems as well as the major body system alterations of the critical care patient. These units are evidence based and appropriately referenced. Also included are two appendices, with one being nursing management plans of care and the other physiological formulas for critical care that are a useful reference aid. There is an index for ease of finding topics of interest. The text is reader friendly, presented in a logical manner and accessible with illustrations and tables...This book would be useful for nurses and other allied health professionals who are new to the critical care environment or student nurse on placement in a critical care environment."